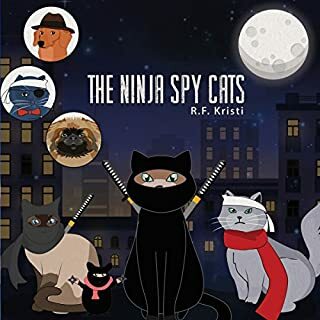 Inca the Siberian kitty and her furry detective team are entangled with international spies and the shadowy Ninja Spy Cat in this amusing animal mystery. Inca the Siberian kitty and her globetrotting furry family are off to South Korea with their human mom. Mom has just created a fabulous new cheese, and she's been invited by the famous French school Cordon Bleu Cookery to not only present her new cheese, but also be the judge of a cookery competition between South and North Korean chefs. 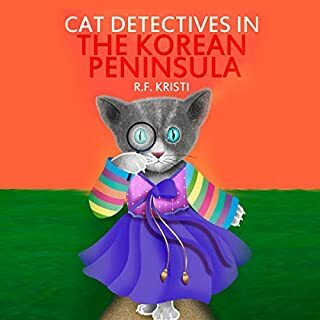 Along with plenty of sightseeing and delicious cheese, the cats befriend a Korean dog and his master pining for his long-lost sister living in the North. What dangers await the group of animal detectives as they cross over from South to North Korea? Liv becomes involved in the investigation of the murder of Jill Brannigan, a summer intern at the limestone mine Liv manages near Fort Collins, Colorado (a breathtaking setting that unwittingly becomes an accessory to crime). In doing so she inadvertently puts her friends, her family, and herself at risk of being swallowed in the belly of a madman bloated with perverse appetites for women, surrealistic art, and renown. Every once and a while the voice that's in and out of our hero's head assures, “Fear not, for I am with you”. 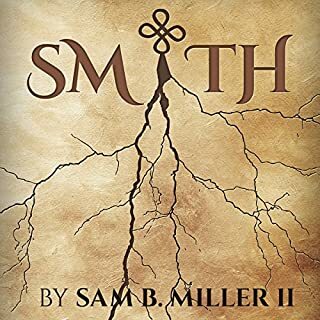 That voice is what will be called Smith, a voice from ancient and potent times. That voice - at once droll, clever, mercurial, and deliciously brutal - is one of the many highlights of this lively adventure. In Black Cat White Paws, recently widowed Maggie Dahl finds herself faced with challenges on all fronts: life alone in a new town, running a business she and her husband had dreamed of and started together, and now pursuing a killer. Her sister, Gerri, moves from Philadelphia to Lambertville, New Jersey, to support her sister and start a new life of her own. Together, the women search for a murderer, helped in critical ways by their neighbor’s cat. A black cat with white paws. A cat whose independence sets it all in motion and sees it through to the end. After you're done listening to Glenna's story, you cannot help but admit she's led a hard life. She's gone through more than her fair share of trouble, in different ways. Some of it she invited; some she did not. To say that she had a troubled childhood would be an understatement. Cutting a long story short, she spent a considerable time working as a prostitute. She was a drug addict. Somewhere along the way, she caught AIDS and Hepatitis C.
Jon Gunnarson never meant to transform humanity. He just wanted a normal life. A life where he doesn't absorb other people's emotions, lose himself, and have to live like a hermit. So he jumps at the chance to help develop a scam telepathy app because it will get him to Bhutan, where he hopes an old friend will teach him how to disconnect. The problem is, working with others is the least of his worries because Jon and Ella unwittingly trigger the onset of mass telepathy. As if that isn't enough, they must run for their lives when they discover a way Venn can avoid arrest. After getting a little help from a baby elephant and her not-so-distant leopard cousins, she learns about the country’s rich history and just how important it is to restore the sword to its rightful place. With her furry family and new friends by her side, Inca can feel she’s close to getting her claws on the sword...but it’ll take teamwork to save a priceless piece of history. 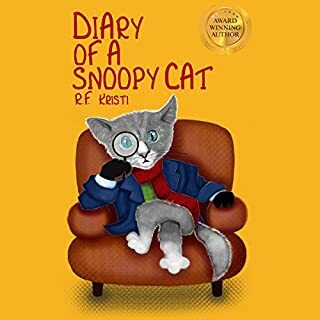 Serendipity Mystery is the seventh stand-alone children’s book in the Diary of a Snoopy Cat series, which is purrfect for kids ages 7-12. If you and your child like new cultural experiences, animal detectives, and tales of teamwork, then you’ll love R.F. Kristi’s globetrotting adventures. Kids will like this one. It was very descriptive so they should have no trouble imagining what's happening. The only issue I had with the narration was really a production problem (I believe). There is not a long enough pause at the end of a chapter before the next one starts. That may make it difficult for parents to select a stopping point. Good, clean fun that teaches teamwork and other life lessons. A fun and fur-ious adventure with our feline detectives as they solve the mystery of a stolen sword in Sri Lanka. Inca and her friends have run-ins with various local wildlife, not all of which are positive. Will our heroes be successful, or will they end up as an after-dinner mint to some mighty beast? Get the story and fine out! As always, Inca and friends give a lot of enjoyment. With the right amount of scares, this is a fun and engaging story that will be enjoyed bu¡y the little ones. The narrator does an excellent job managing the different voices making the whole experience great. A cute story that is a fun, quick listen. The narrator manages to give each voice a distinct sound and personality. Some of them were a little high for liking, but not too bad. The performance by Stephanie Quinn blew me away! I wasn't sure if this was a child narrating or an adult who was just that good!! After checking out samples of her other work, I realized that she is just that good! Wow! Her amazing voice!!! She did a phenomenal job playing these adorable, loving characters! 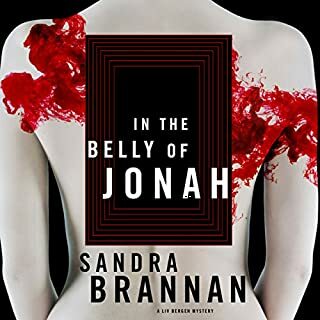 Her performance made me want to hear more in the series, and while I'm sure the book is wonderful without audio, my overall experience was heightened by choosing the audiobook. 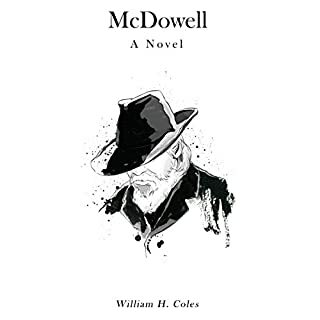 Everything from her pronunciation, clarity, and speed to her inflection, volume, and enthusiasm kept me engaged in the story from start to finish. I am so impressed by her amazing performance! Bravo! 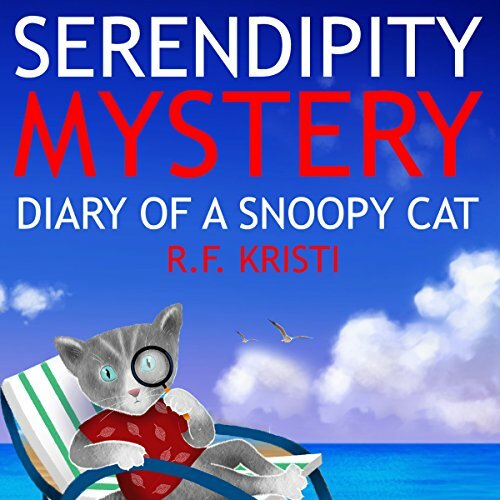 The audiobook Serendipity Mystery: Diary of a Snoopy Cat: Inca Book Series, Book 7 by R.F. Kristi, narrated by Stephanie Quinn deserves 5/5 stars across the board. From the wonderful learning opportunities and fun storyline to the engaging narration, this is an audiobook your entire family will love! I highly recommend it all! This is the first Audio Book I have listened to in a long time. The narrator had a very pleasant voice, easy to understand. Makes you feel like you're there with Inca and Company, solving the Mystery right beside her. The friends she made along the way were interesting to hear about. Overall, the Performance, and Story were all Fantastic. I'd recommend this audio book to anyone, especially for the kids to sit around and listen to together. I'm very much into Cats. So this Audio Book perked my interest, and I'll be checking on the books also.